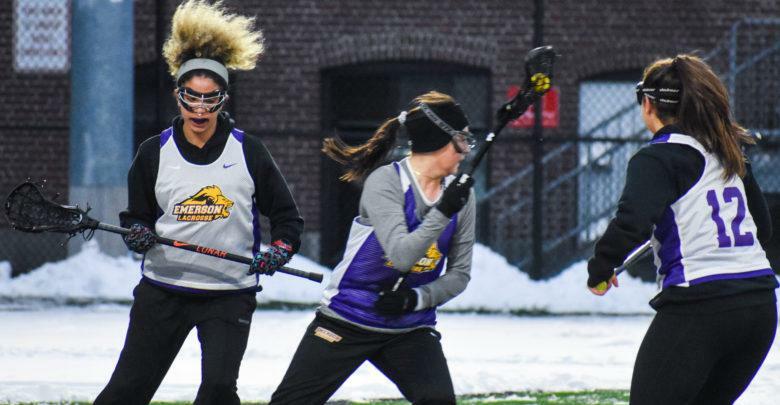 The women’s lacrosse team added a new coaching staff and seven freshmen to the roster after not qualifying for conference playoffs last year. The Lions struggled last season and finished with a record of 0-14. 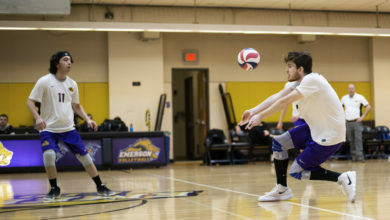 In a post-game interview after the Lions’ first home game against Becker College on Saturday, head coach Jessie Koffman said the team struggled to have a full team this season. 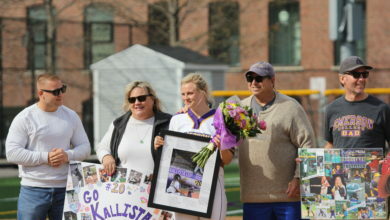 Koffman joined the Lions after resigning from her position as the head coach of the Wentworth Institute of Technology women’s lacrosse team in 2018. In her fourth and last year with Wentworth, Koffman led the team to its best season ever with a conference record of 2-6 in the Commonwealth Coast Conference and an overall record of 7-9. Assistant coach Jessica Angerman also started her first season on the Lions coaching staff this spring. Angerman played Division I lacrosse from 2014 until 2017 at the University of Michigan, where she holds an all-time points record of 166 points—111 goals and 55 assists. Senior defender Jen Litchfield, the only senior on the roster, said she looks forward to the team proving itself to the other teams in the New England Women’s and Men’s Athletic Conference this year. In a women’s lacrosse game, 12 people stay on the field at all times. The Lions only have 14 players which leaves them with just two substitutes for the entire season. Litchfield, a captain on the team, said the roster is small so she wants to focus on improving the team’s endurance, along with defense, and stick-handling. Freshman midfielder Julia Burns said the coaches put a vital emphasis on fitness. “We want to be fast, we want to be in shape, and we don’t want to be outrun by other teams,” Burns said. Despite the Lions losing their season opener to Becker 13-6, Koffman said she is proud of the team and what they accomplish with their lack of experience. 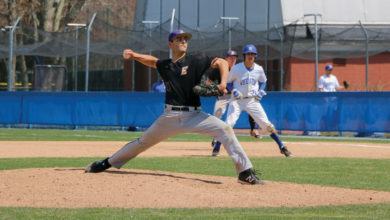 “For them to come out with no fear—it was tough because in practice we’re going over most of the rules, but we’re not able to play full field because we don’t have enough to play 11 on 11, so I was really impressed with them,” Koffman said. 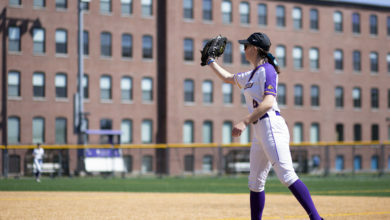 The team will travel to Lasell College on March 18 for a non-conference matchup at 4 p.m.